Though the emphasis at WBC is on tournaments, our space dedicated to Open Gaming continues to expand, along with our Game Library. 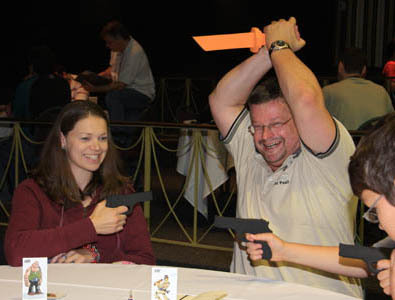 In 2011, the 13,000 square foot Lancaster Showroom dinner theater will be dedicated 100% to Open Gaming and the Games Library for the entire week of WBC. 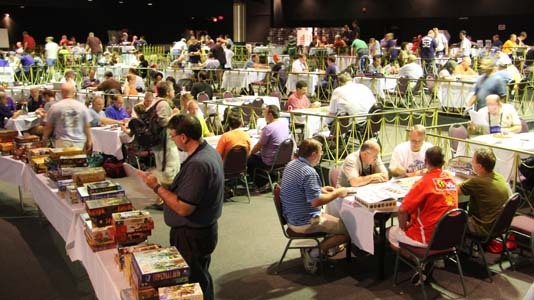 The Auction and Auction Store will move to the Lampeter Exhibit Hall to free the Showroom for Open Gaming Monday through Sunday. A whiteboard will be located in the Open Gaming Area to help coordinate open gaming activities on-site and an on-line Opponents Wanted page will be available in the weeks preceding the convention. NOTE: Admission is required for anyone participating in Open Gaming. So as not to lose track of time, a constantly updated rotating schedule announcing the minutes remaining to the next event starts elsewhere in the hotel will be projected from the stage. Each evening at 11pm, a pictorial review of past WBCs will be shown, set to music. A different year's memories will be displayed each night, courtesy of photographer Debbie Gutermuth, whose prints of WBC 2010 will be displayed and freely available to all who care to reminisce. 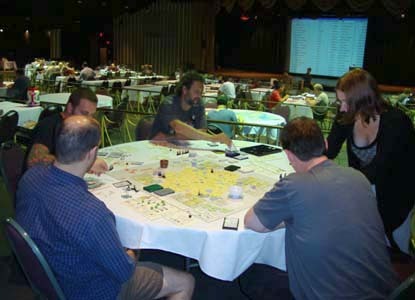 Attendees in the Open Gaming Area will enjoy free use of the expanded BPA Game Library for use Monday through Saturday. The library signed out more than 1,000 games in 2010. 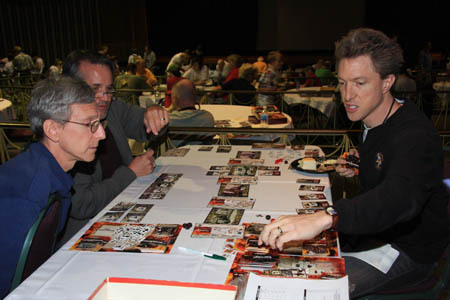 The library is made possible through the generosity of leading game publishers and sponsored by Queen Games, Rio Grande Games, and Alliance Game Distributors.